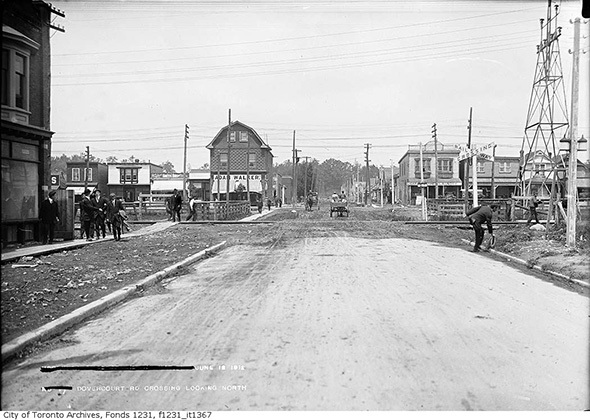 Dovercourt Road takes its name from the once-prominent Denison family, whose land holdings included a stretch of the street. 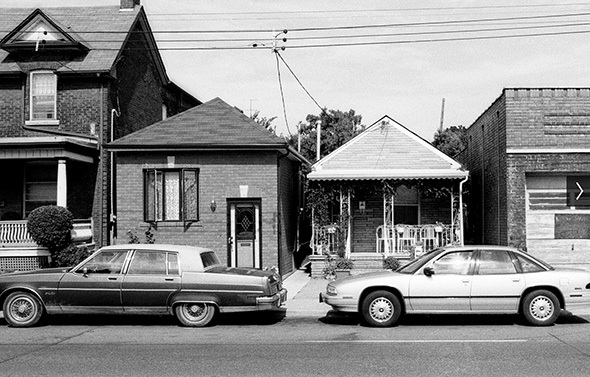 Neither a main thoroughfare nor a sleepy residential enclave, there's something quintessentially Toronto about Dovercourt. 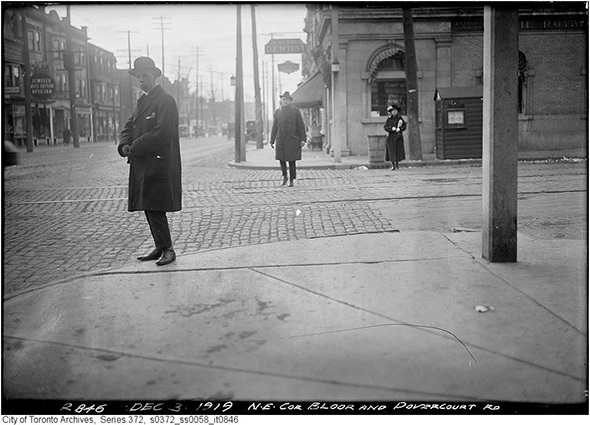 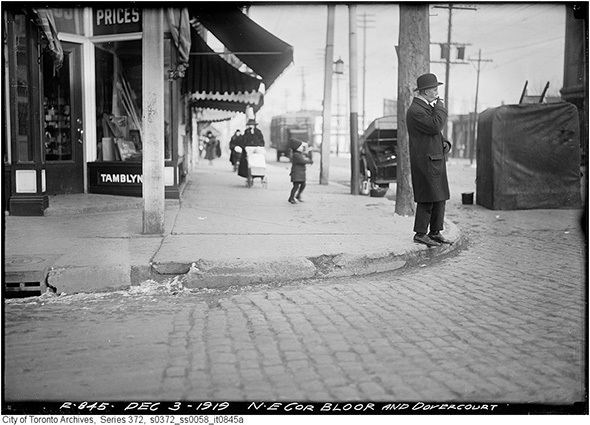 At various points in its history, the street seemed on the brink of becoming more developed, particularly when it was home to a streetcar route, but aside from little hubs of activity at main intersections (notably Queen, Argyle, College, Bloor and Hallam), it never really happened en masse. 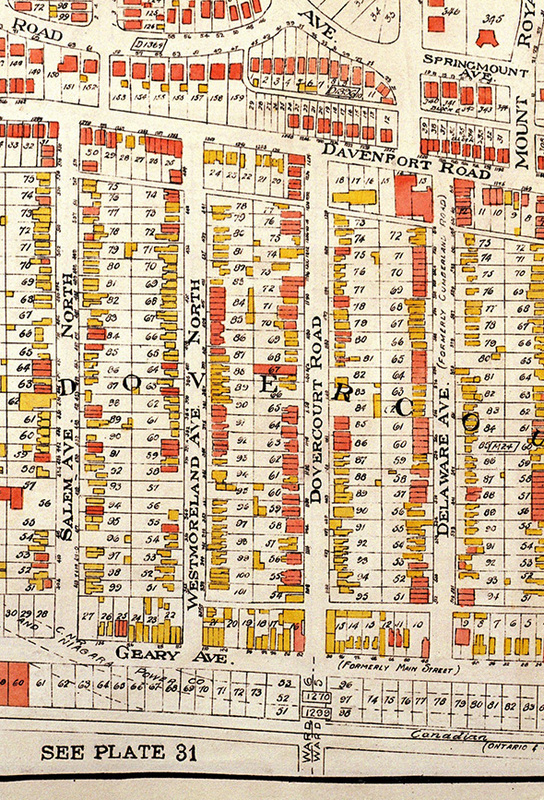 To the north, Dovercourt was originally home to poor English migrants who lived in shack-like structures spread around what is now Dupont. 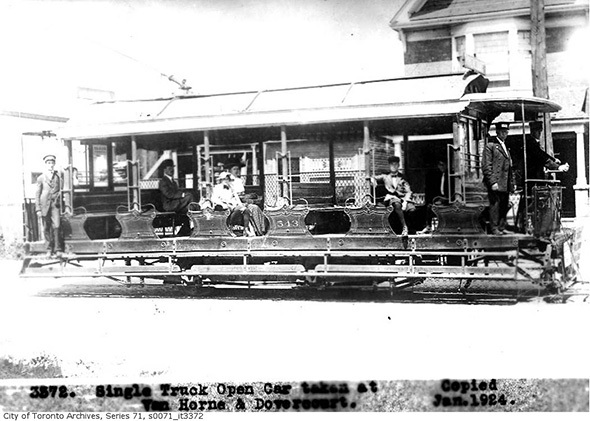 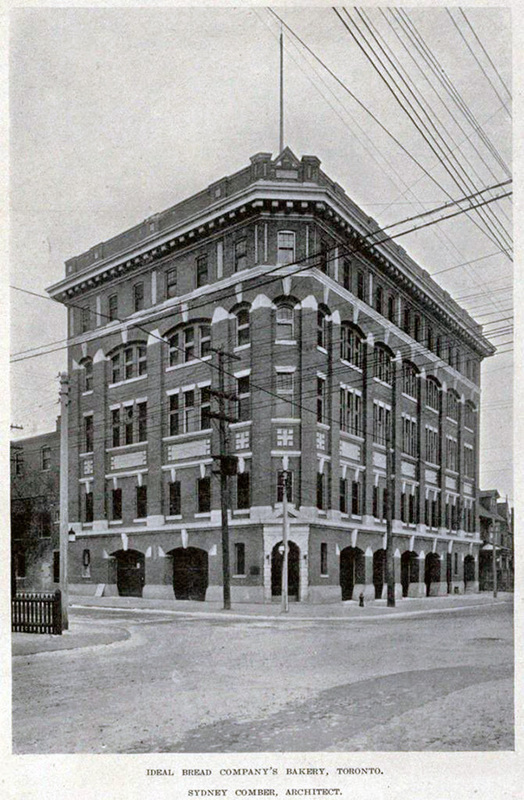 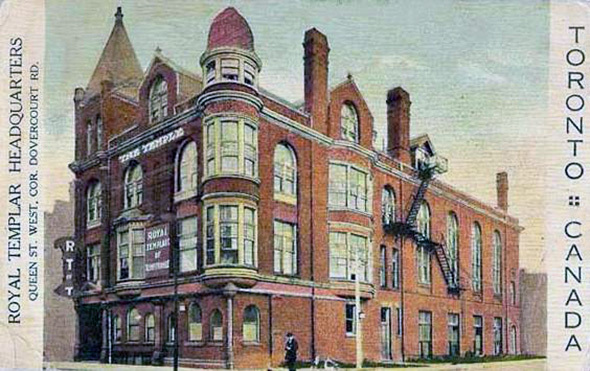 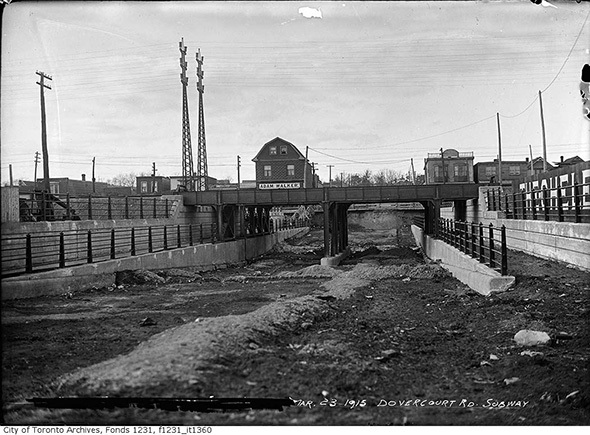 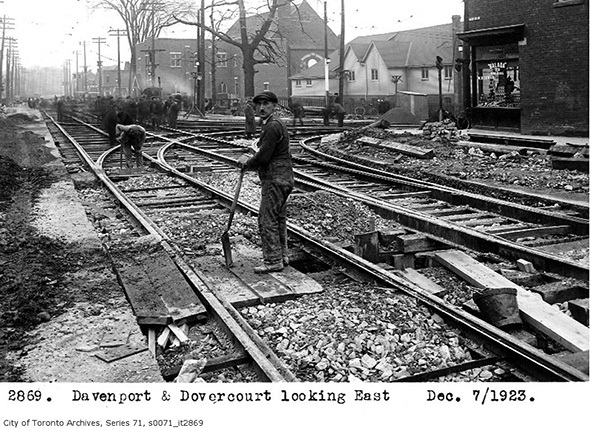 As industry developed on that street and along Geary Avenue (formerly Main Street) around the turn of the 20th century, Dovercourt Park became a bonafide neighbourhood, the heart of which was located at the intersection of Hallam. 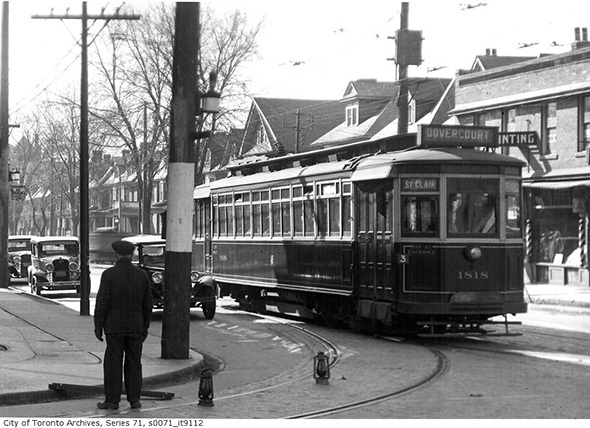 Surprisingly, both streets were served by streetcars at the time, and there was arguably even more traffic at the intersection in the 1920s than there is today. 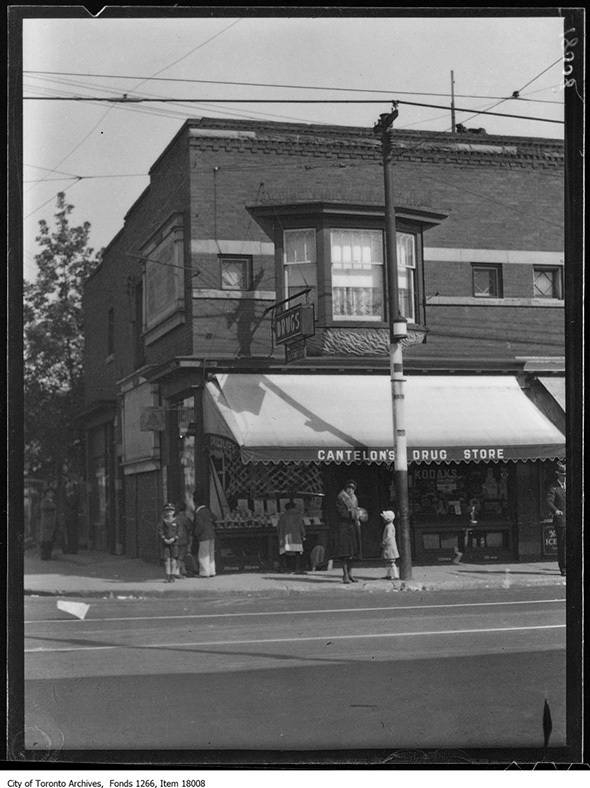 Dovercourt and Argyle, once home to the Ideal Bread Company (now a rather nice condo), also feels like a mini-hub thanks in part to the presence of Luna Cafe. 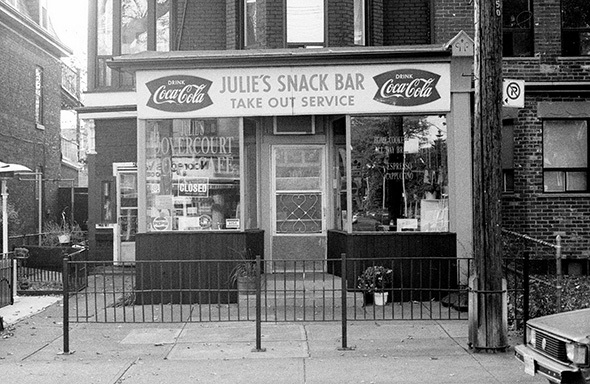 Ditto for the intersection at Foxley, which is home to Julie's Cuban and one of those classic residential Toronto variety stores. 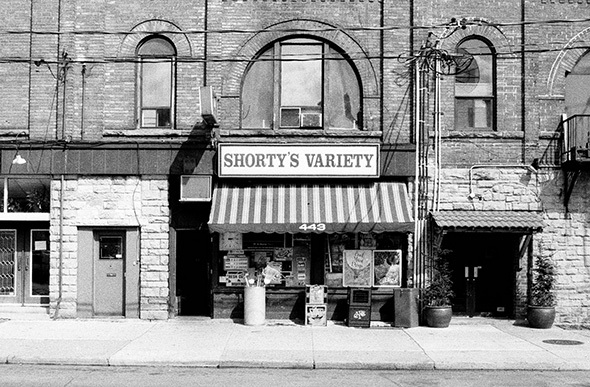 I've always liked this stretch of the street for the degree that it speaks to an older version of the city, one in which corner stores and lunch counters could be found scattered in neighbourhoods off main streets. 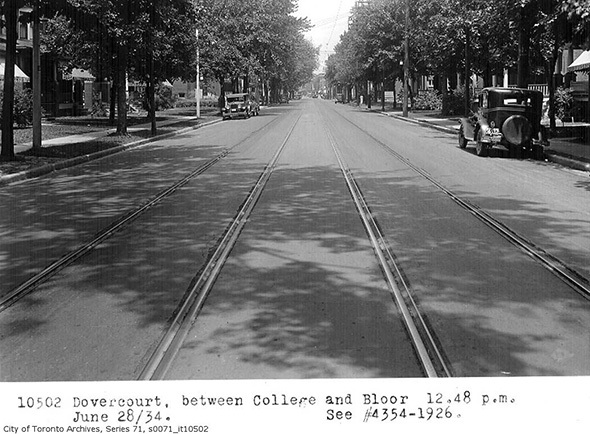 If there's a stretch of Dovercourt that's been preserved the most over the years, it's to be found between College and Bloor, where stately homes are set back from the road and look pretty much the same as they did in the 1950s (see photo below). 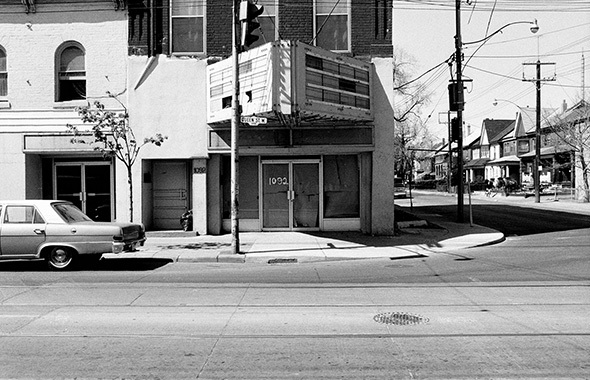 It's a shame not to have an old picture of the Matador to share here, but the latest iteration of 466 Dovercourt will retain the iconic sign, so there's no need to get too mournful. 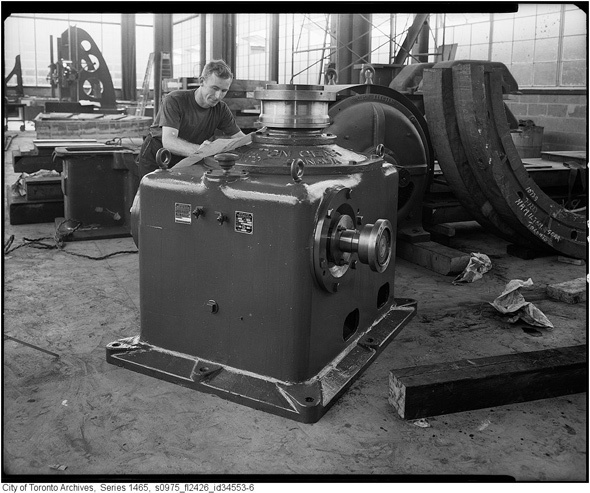 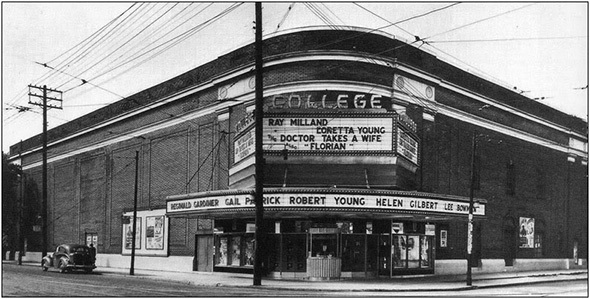 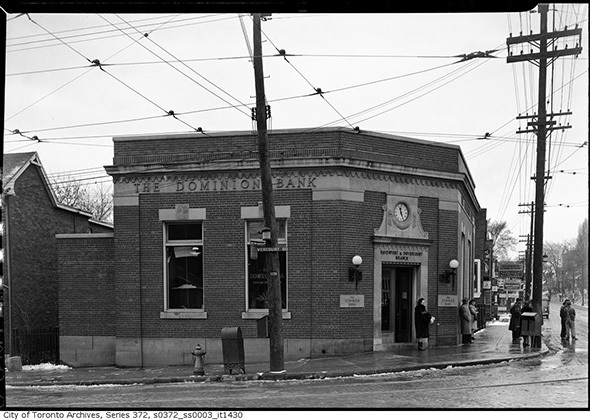 Photos from the Toronto Archives, Library of Canada and (the last four) from Patrick Cummins.